Corsair Gaming, a division of PC gaming hardware leader Corsair® dedicated to the elevation of PC gaming, introduced the Corsair Gaming Sabre RGB gaming mice, which come with one of two types of sensors: optical and laser. Designed with input from veteran pro gamers, the new mice are engineered with a new sleek, ergonomic shape and are built with an ultralight chassis for quick, fluid, and precise movements over extended gaming sessions. ADATA Technology announced the launch of UC330 Dual USB Flash Drive featuring dual micro USB and standard USB interfaces in India. Available in 8, 16 and 32GB sizes, the UC330 Dual USB allows one to share and backup data between PC, tablet, phablet, or smart phone at prices rivaling built-in storage found on some mobile phones. Along with a lifetime warranty and On-the-Go (OTG) USB compliance, customers who purchase the UC330 flash drive can also enjoy ADATA’s feature-packed OStoGO and UFD to GO software packages. Flawlessly crafted of zinc alloy with a silver finish, ADATA’s Choice UC330 Dual USB Flash Drive weighs only 3.6 grams and comes with a black end cap fitted with a strap hole so you can easily carry the flash drive on a lanyard, keychain or neck strap. As you use the rocket-shaped UC330, its cap fits on either side of its dual-headed USB. When not in use, stand it up on its end for easy storage on your desktop like a rocket awaiting lift-off. Manufactured with a special chip-on-board (COB) process, resulting in high water and impact resistance, your UC330 flash drive is engineered for utmost quality and reliability. To copy files to or from your mobile device, simply plug the UC330′s OTG-compliant micro USB connector into your Android mobile phone or tablet. Then allow your phone to detect the UC330 and transfer your files at speeds much faster and more securely than a Bluetooth connection. When finished copying, disconnect the UC330 from your mobile device and plug the standard USB end of the dual-headed UC330 into your desktop or notebook PC. Use the Choice UC330 Dual USB Flash Drive to copy files just as easily from PC to mobile device also. Depending on how many music files, pictures and business documents you have, choose a UC330 Dual USB Flash Drive with 8, 16 or 32GB capacities. Intex Technologies launched its IT Aster Speakers. The device is packaged and priced for the users looking for quality and portability. The Aster is a compact device that comes in a size of 2×2 inches and an easy auxiliary wire connectivity option. A powerhouse for its size, the IT Aster delivers premium sound quality with an output power of 2.5W*2. It is a multi-purpose speaker with an USB 5V Input Socket that makes it a perfect device to be used in office or at home. The IT Aster speakers are available in vibrant yellow and blue colour and are boxed with the auxiliary and USB cables. The dynamic speakers are attractively priced at Rs. 500 only and can be purchased via the brands vast distribution network across the country. Lenovo has launched the affordable multi-media tablet A7-30 3G with voice calling. 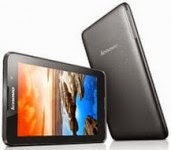 The A7-30 3G is Lenovo’s first ever 3G device in the 10k price range- an amazing deal for a such a power-packed device. At a competitive price of INR 9999, the A7-30 3G will surprise you with its superior performance and loaded features. With its dual front-facing speakers and Dolby audio enhancement, the A7-30 3G delivers a dazzling, affordable and portable entertainment experience. Listening to your favourite songs will be twice as much fun thanks to its speakers that offer louder, natural and distortion-free sound. Now watch the colors on your screen truly come alive while viewing the latest movies owing to the tablet’s bright 17.78 cm (7) display. You can also check your email, surf the web and download tons of apps at the same time, thanks to the A7-30 3G’s quad-core processor that makes your experience extremely smooth and responsive. The A7-30 3G equips you to stay connected with friends and family at all times with its voice calling as well as worldwide roaming features. And it offers uninterrupted usage time, owing to its longer battery life that provides 8 hours of WIFI browsing on a single battery charge, making it the perfect travel device to stay connected and have fun. Top Notch Infotronix has introduced its first 2.1 speaker system incorporating Bluetooth wireless technology – the ZEB-BT3430RUCF multimedia 2.1 speaker. Featuring a very unique design with water drop shaped satellites, the sleek and compact speaker system offers excellent audio performance in its segment at great value. Built keeping in mind both visual and aural appeal, the Zeb-BT3430RUCF includes Bluetooth version 3.0 to pick up and stream audio wirelessly from any suitable device such as media players, Smartphone or tablets, or laptop and supports audio files in MP3 and WMA file formats. It can also directly play these audio files from SD/MMC cards through an inbuilt slot as well as take in wired input through standard aux cable with 3.5mm stereo jack. Capability to tune and play FM radio has also been added. The speaker system delivers a punchy 40W output (20W from the subwoofer + 10Wx2 from satellites) across the audio spectrum, with a signal-to-noise ratio ≥ 80dB and separation ≥ 45dB at unnoticeable distortion – all packed in a compact size with subwoofer occupying 271x203x169 mm and each satellite just 90x183x93 mm. Designed to suit any home or workspace, the Zeb-BT3430RUCF Bluetooth wireless multimedia 2.1 speaker system’s visual appeal is enhanced by the unique water-drop shaped satellites and the matching glossy-finish front panel on the subwoofer. The package includes the subwoofer and two satellites as well as aux input cable, user manual and full-function remote control. The Company has attractively priced the Zebronics Zeb-BT3430RUCF wireless Bluetooth 2.1 multimedia speaker system at just Rs. 1999/- (which includes a one-year warranty), continuing its track of quality products at value prices. The speaker is available from any of Zebronics partners in major markets, or from the Company’s e-commerce site – www.moneyvasool.com – and other leading consumer-IT stores and on-line vendors. Life truly becomes “On-the-Go” with PNY’s Duo-Link OU2 flash drive. 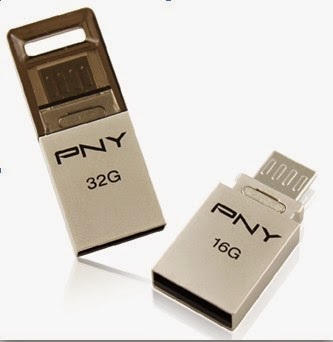 Taipei, Taiwan, 29 October, 2014 - PNY, the leading manufacturer of memory products and PC peripherals, has recently launched the newest addition to their OTG flash drive range, the Duo-Link OU2. This thumb-sized adapter packs performance and speed in its petite size. It comes with dual USB connectors with USB and micro-USB ports, providing convenient data transfer and storage for PCs, notebooks, and Micro-USB OTG-compatible Android phones and tablets. PNY’s Duo-Link OU2 flash drive enables transfer of videos, music, and photos from and between OTG-compatible Android devices while the USB 2.0 connector enables easy and fast storage of those files to and between desktop and laptop computers. The drive also doubles up as a convenient storage expansion for OTG-compatible Android phones and tablets to free up precious device memory. Packaged in an exceptionally slim and minute design, it weighs at a mere 3.8g and measures at H 31mm x W 4.5mm x L 12mm. It comes with a convenient cap that protects your USB from dust and scratches whilst ensuring your files are safe and secure. A specially designed strip hole allows you to loop it around a string and use it as a lanyard or attached to bags, wallets and key chains. The Duo-Link OU2 is compatible with merely all smartphone models, tablets and others. It supports Android 4.0 later, and all Windows and Mac operating systems. Available in storage capacities ranging from 8GB to 64 GB, the OU2 comes in an extremely affordable price and is backed with a warranty of 2 years. Team Group Inc. launches C142 / C143 flash drive in lighter weight, more simple design, and smaller in size. The products use seamless connection and rotary design making operation easier and avoid losing caps. Particularly, the unique ridge line demonstrates its beauty from every angle and easier to hold it when use it. The product available in ebony black, aqua blue, silver white and amber brown, the wide range colors for all customers’ need and perfect goes with all latest consumer gadgets. C142 / C143 is the second generation of Color turn (E902), one of the best selling models in the company. The stainless steel cap is made after six precision processing including precision stamping, polishing, surface blasting, heat treatment, corrosion-resistant plating and laser engraving. It is sculptured perfectly in shape, while equipped features of scratch resistant, dust-proof and anti-fingerprint to make the texture last forever. Combined with the perfect minimalism and natural color elements of the body, the product presents more fashionable yuppie style with dual color tone. The 360-degree swivel cap-less design adds users’ friendliness when using it. Complemented with the strap whole design making the product convenient to carry everywhere you go, the product can seamlessly integrate into the user’s daily life to become a distinctive personal mobile technology choice. C142 / C143 adapt USB2.0 and USB3.0 interface. With the design of fashionable silver and gold stainless steel cap, they perfectly present the excellent texture of the products. In terms of capacity, C142 / C143 provides from 8 ~ 64GB. The USB3.0 C143 exclusively offers high-capacity 128GB version to provide users experience of high-speed transmission. It is the first choice of a flash drive this fall with most worthy texture and effectiveness. TP-LINK has introduced the Portable Power Bank TL-PB10400, apart from having sleek look and classy design it comes with a powerful capacity of 10400mAh which will ensure that your smartphone charges 3~5 times, keeping your devices running all the time. Dual USB ports with 5V/2A and 5V/1A allows for charging two devices simultaneously this means you can charge your tablet and smartphone at once. Built-in special circuit provides full power for your smartphones. TL-PB10400’s multiple protections of short circuit, over-voltage, over-current, over-charge, over-discharge, and over-heating ensure safe and reliable charging to avoid any potential harm to your devices. Power bank comes with an additional built-in Flashlight which comes handy for in-house and off-road activities and Four LED lights that works as charge indicators to show battery level or charging status. The Universal Compatibility with almost any smart devices like iPhones, iPads, Android smartphones/Tablets and other 5V input USB-charged devices improves its usability. As a part of the Channel Incentive Program, Brother India took its top 17 Direct Channel Partners (BC1) to Switzerland. The partners were accompanied with their spouse. These partners won this trip on purchase of products worth specific amount or exceeding the target set under the program. The trip was for 3N/4D to the scenic country of Switzerland from 12th till 16th Oct. The trip was accompanied by Brother India head Office team – Alok Nigam (General Manager – Sales & Marketing) & Rishikesh Kane (Manager – Marketing). Every year Brother organise similar trips for the Direct Channel partners to various countries. Brother is a leader in the development and manufacturing of technologies in the printing, communication and digital imaging industries for Home, SOHO and Enterprise who demand solutions that empower businesses and individuals to communicate ideas in every possible way. A trusted brand worldwide that believes in the “Customer First” approach in all aspect of their business, Brother has continuously met the varied needs of their customers through their comprehensive range of quality printing solutions. QNAP Systems, Inc released the Qfix for Bash security patch v1.0.2 (hereafter referred to as “this Qfix”) for its Turbo NAS lineup with an official GNU Bash patch update. This Qfix includes all fix as of QTS 4.1.1 Build 1003 and is suggested for all Turbo NAS users who have not updated to QTS 4.1.1 Build 1003. The GIGABYTE GA-X99-UD4 motherboard comes with a wide range of features that would delight not only the gamer or the power user, but also the basic or inexperienced PC user.GA-X99-UD4, based on the Intel X99 Express chipset, is designed for socket LGA2011-v3 processors. These processors presently consist of Core i7 5xxx series CPUs and Xeon E5 1xxx-v3 and E5 2xxx-v3 CPUs. GIGABYTE’s least priced X99 motherboard, GA-X99-UD4 still accommodates all of the extreme performance features of that platform. All GIGABYTE X99 motherboards feature a unique PCI Express design that utilizes 100% of all 40 lanes from the CPU when in a 4-Way or 3-Way graphics configuration. Standard designs limit all 4 main PCIe lanes to x8 (64Gb/s) bandwidth, but thanks to the onboard external clock generator combined with the direct connection of one of the x16 lanes to the CPU (switchless design), GIGABYTE X99 motherboards can unlock the full bandwidth available and provide the best graphics bandwidth possible. The motherboard offers support for up to 4-Way GPU configurations, 8 DDR4 modules, 10 SATA 3 devices or 8 SATA 3 devices and also, a SATA Express device. You also get dual M.2 ports to facilitate greater storage and optional WiFi / Bluetooth cards. High quality audio is another prominent feature of GA-X99-UD4. While an amplifier chip gives you the stereo output, the motherboard also offers a choicest blend of other augmentations, such as audio-exclusive capacitors. The left and right output channels are divided between diverse PCB layers to reduce crosstalk. GA-X99-UD4 comes with Intel Gigabit LAN networking, a popular choice with gamers that features several performance-enhancing utlitities, including advanced interrupt handling to help reduce CPU overhead and Jumbo Frame support for extra large data packets. Additionally, GIGABYTE X99 series motherboards feature cFos Speed, a network traffic management application which helps improve network latency, maintaining low ping times to deliver better responsiveness in a crowded LAN environment. cFos Speed works in a similar way to an OS driver, monitoring network traffic packets at the application layer, allowing optimization and improved network performance for specific applications. GIGABYTE, the world’s leading premium hardware brand, announces the release of the Raptor FPS gaming mouse, the champion design from the 2013 GIGABYTE Make It Real Mouse Design Competition. Co-designed by three emerging designers, this award winning piece was highly appraised by all judges and won the opportunity to turn the prototype into a mass-produced product. With its ergonomic low profile and lightweight design, the Raptor is crafted for claw and fingertip grip gamers to perform sharper movements and quick attacks with precision in comfort. Resembling the sickle-shaped raptor claws, the GIGABYTE Raptor gaming mouse outlines a deadly weapon crafted for serious FPS players. Its compact body offers them with the agility to perform with sharp and precision movements quickly during intense in-game shooting. The optimally positioned sniper hotkey also provides a valuable tool in the combat, helping gamers immediately lower the cursor speed while aiming at the target to assure accuracy for every single headshot whilst making a rapid move or a sharp turn. Weighing merely 85g, the low profile Raptor significantly reduces hand fatigue as the battle goes further, which makes the Raptor perfect for fingertip grippers who rely on fingers to control the mouse. The anti-slick ergonomic rubber grip on both sides of the mouse provide proper resistance for fingertips to ensure a firm grip during quick movements or even when lifting the mouse. 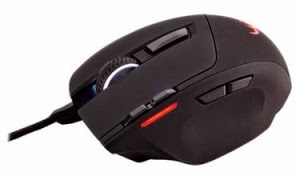 For claw grippers, the added rubber supporting area on top of the mouse further stabilizes mouse balance with this sixth contact points as the palm comfortably sits on the mouse. The Raptor further adopts a weight adjusting design, allowing gamers to personalize the mouse mass best suited for their feel and control. Built for precision, the Raptor’s 4000dpi pro-optical sensor supports 4-stage, on-the-fly DPI switching, offering precise tracking capability for enhanced gaming control. The ultra-durable Omron switches can survive the most click-intensive FPS game with a guaranteed lifespan of 10 million clicks coupled with the perfect clicking response. What makes it even better is that all keys on the Raptor are programmable via GHOST engine to ensure the maximal flexibility is met for customizing each personal skillsets. With the winning combination, the Raptor makes a true champion for champions. ATEN International released a new addition to its VanCryst professional A/V product line, the VE872 and VE873 HDMI Active Optical Cables. The optical cables are the entry-model products in ATEN’s optical extension products series. They provide an economical solution to convert electrical data signals to optical signals over long distances, providing high-speed transmission of 4K2K video and high quality audio. As fiber optic communications become the norm, the convergence of video, audio and data in environments such as labs, surveillance centers and hospital facilities creates new requirements for deployments over long distances without sacrificing performance, reliability and security. The VE872/VE873 are 15 and 30 meters in length respectively, allowing for transmission of input signals across long distances quickly and effectively in 4K2K (4096×2160) high resolution. Lightweight and compact in design, the optical cables are easy to install in any optical fiber deployments. Integrating AOC+™(Active optical Cable Plus), a technology unique to ATEN that includes direct coupling, automated manufacturing, guide pin design, and fiber dust cover to prevent bare fiber from being exposed. EMI and RFI free, the cables provide perfectly clear signal transmission. 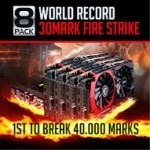 The MSI X99S XPOWER AC, one of MSI’s new Intel X99 based OC motherboards, just obliterated the 3DMark – Fire Strike world record with scoring a staggering 40052 marks together with a 4-way MSI GTX 980 GAMING 4G setup. MSI, with the help of overclockers 8 Pack from OC UK and Pepinorang, is the first manufacturer scoring over 40000 marks in 3DMark Fire Strike. Meanwhile, the MSI X99S XPOWER AC also put out amazing scores with 109069 marks in 3DMark Vantage and 44538 marks in 3DMark11. Adding another feather to its cap, neoteric infomatique Ltd has joined hands with RIVACASE as the Exclusive National Distributor for its range of ‘Protective Carrying Solutions.’ RIVACASE is one of the best global brands in Universal Cases for Laptops, Tablets, Cameras and Hard Disks. This includes Tablets Sleeves and Cases, Laptop Bags, HDD Cases along with SLR Bags, Compact Camera Cases and Camcorder Cases, System and Bridge RIVACASE products are assembled for various utilities such as multiple viewing angles, protecting the screen, holding tablets securely in a place and are shock-proof, lightweight, and weather-proof, accident proof, easy-to-carry etc. RIVACASE products have a warranty of 6 months on any manufacturing defect. Antoine Sangers, Sales Director – RIVACASE said; “India’s growing economy makes it a promising market for us and we are very excited to penetrate into it through our strategic partnership with neoteric. 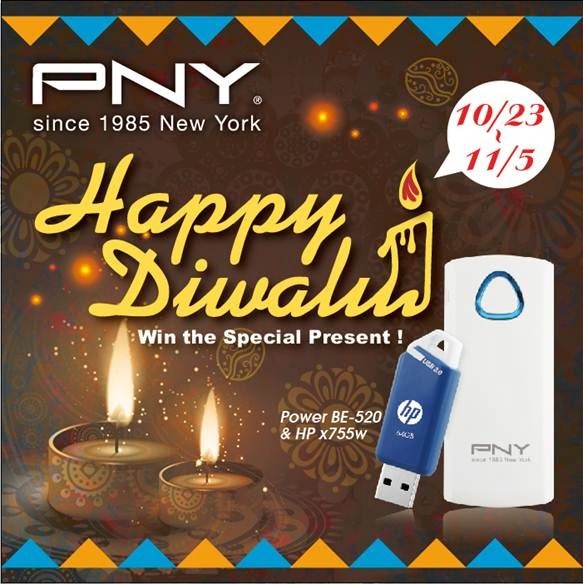 PNY technologies, celebrating the festival of lights “Diwali”. PNY will be giving away their newly launched 1 piece of Power bank BE-520 and 3 pieces of HP x755w- 8GB USB Flash drives via lucky draw. These 2 products are amazing amalgamation of luxury, style and elegance. The BE-520 sports a trendy and refined white casing with high quality design and finish. Its slim and compact cylindrical design makes it easy to grab and can fit easily in your pocket or bag. For added efficiency, it comes equipped with a build-in LED torch light that ensures light when it is needed. This makes it extremely convenient for nocturnal use and is the perfect accompaniment for camping trips and overnight stays. 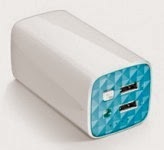 With 5200mah capacity, can charge about 2 times of your mobile battery. The HP x755w flash drive packs unparalleled transfer speed and generous capacity into a pocket-sized package. Equipped with USB 3.0 transmission speed, this flash drive can perform faster than 2.0 equipped ones. The HP x755w makes the perfect travel-friendly flash drive no matter where you go. The HP x755w reduces the time spent for transferring files. It enables fast boot up and lower the chance of any lagging time and saves hours by reducing the transfer time in a few seconds. The HP x755w adopts a cool blue-white colour scheme for a classic yet trendy look. It is made up of durable material that can withstand dust, and protect your USB so that it can perform smoothly. The Diwali also known as the festival of lights spiritually signifies the victory of light over darkness, knowledge over ignorance, good over evil, and hope over despair. During this festival of light PNY is giving away the perfect prize to their Facebook fan. The fans just need to participate in this promotion by【Happy Diwali Giveaway】and stand a chance to win these 4 amazing prizes from PNY. To participate all you have to do is to follow the PNY Technologies India Fan Page on Facebook https://www.facebook.com/PNYIndia and login using your Facebook or email address to register for the contest. Like the PNY Facebook and the event and share the event image (above Image) on your personal page with friends. Must Like the PNY Technologies India Fan Page on Facebook to qualify. *Winner list will be announced on the 10th of Nov.
*The prizes will be delivered to our lucky winners within 20 working days. Xiaomi will on Tuesday hold the seventh flash sale for its Redmi 1S smartphones in India, via Flipkart. The company had announced the sale last week, after a successfulsixth flash sale, and Flipkart’s Big Billion Day sale the week before that. Notably, the Chinese company has yet to announce how many Redmi 1S smartphones will go on sale Tuesday, unlike previous flash sales where Xiaomi had announced numbers as much as a week in advance. 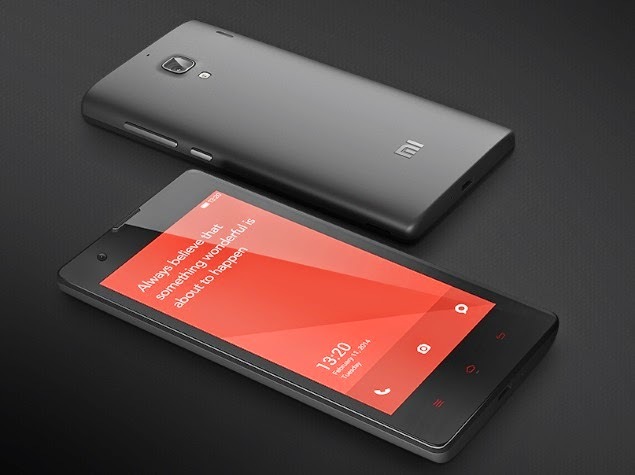 The sixth Redmi 1S flash sale saw 1,00,000 units go on sale for the first time, and the company later announced the smartphones had gone ‘out of stock’ in 4.2 seconds. Xiaomi had made 1,50,000 units available for Flipkart’s Big Billion Day sale – the first Xiaomi sale in India not requiring registration. The fifth flash sale saw 60,000 Redmi 1S smartphones going out of stock in 13.9 seconds. The fourth flash sale saw 60,000 Redmi 1S units going out of STOCK in 5.2 seconds. 40,000 smartphones went out of STOCK in just 3.4 seconds in the third flash sale, a good second faster than the second flash sale, which saw 40,000 smartphones go ‘out of stock’ in 4.5 seconds, meanwhile the first flash sale saw 40,000 units going ‘out of stock’ in just 4.2 seconds. The company last week also announced an OTA (over-the-air) roll-out of a system update for the Redmi 1S, including fixes for major bugs that according to Xiaomi were reported by a large number of users. Nokia Says India a Top Growth Market; Stresses Its Focus on Country! Bullish on India, Nokia is ramping up its operations in the country, focusing on its three businesses of network infrastructure, location intelligence and advanced technologies, top executives of the Finnish telecom and IT conglomerate said. “For us, India is one of Nokia’s top 10 high-growth regions. The manufacturing operations, global delivery centers and research and development setups in India reflect Nokia Networks’ unwavering focus on the country and enhanced proximity to its customers,” Barry French, Executive Vice President, Marketing, Communications and Corporate Affairs, Nokia, said. “India is our largest country of employment. As a company, we are huge in India,” French told PTI at Nokia’s headquarters on the outskirts of the Finnish capital, Helsinki. “It is a great operation. We absolutely manufacture in India and we are always looking for opportunities to grow our manufacturing presence. We manufacture for the domestic and export market. This is another example of ‘Make in India’,” he said. “We have a history and depth in India that are very hard to match. If you look at 16,000 direct and indirect employees in the country. We have manufacturing, R&D, sales, global service centres in India,” he added. With the closure of transaction to sell Device & Services business to Microsoft at end April 2014, Nokia is a newly energised company focused on building technologies for a connected world, he said on the reinvented Nokia’s ambitions plans in India as well as globally. “We have everything there (in India), so we have a depth and a kind of presence that others find very hard to match,” French said. Nokia has Global Delivery Center (GDC) in Noida near Delhi and Chennai, India’s largest telecom manufacturing facility, and Research and Development center in Bangalore. “Our global services hub, end user service quality focused Service Management Capability Center and a Centralised Solution Support Center (CSSC) are also based in India,” Sandeep Girotra, Vice President and Head of India Region, said. Regional Customer Operations close to one-third of India’s mobile subscribers are carried by networks supplied, installed and managed by Nokia for telecom operators in India. Ten Indian telecom operators, both public and private are Nokia’s customers, he said. Nokia is one of the leading telecom equipment manufacturing companies in India, he said. “Our manufacturing plant in Chennai, spread over 140,000 square metres makes and ships the complete gamut of telecom products (2G, 3G, LTE and Core Networks) for domestic and global markets,” Girotra said. He underlined that Nokia’s commitment to India is deeply engraved in the way the company has harnessed the potential of local talent for research and development. “Our Bangalore Technology Center is one of the four main global R&D site for the company, employing over 3,000 engineers and undertaking research on various advanced global telecommunication technologies like WCDMA, Small Cells, CDMA, Radio Platforms, LTE, Operational Support Systems, Voice & IP Transformation and Packet Core. “We were a pioneer in setting up Global Delivery Centers and Global Network Operations Centers (GNOC) in Chennai and Noida. These centers, today employs over 4,000 highly skilled employees who operate, manage, monitor and upgrade networks of telecom operators located in 86 countries around the world. “Our centers in India service over 400 operators around the world for various projects and run networks, remotely, that carry over 200 million global subscribers,” Girotra said. In addition, Nokia has recently created a showcase center for monitoring and managing mobile internet service quality called Service Management Capability Center in Noida, the only vendor to do so, he said. HERE, a Nokia company is a leader in navigation, mapping and location experiences. The company combines highly accurate and fresh maps with cloud technology to enable rich, real-time location experiences in a broad range of connected devices – from smartphones and tablets to wearable and vehicles. HERE has nearly 1,700 employees in India spanning seven cities of Bangalore, Chennai, Mumbai, New Delhi and Pune. These sites’ main operations are focused on R&D, sales and our global production operations. Expansion is currently underway for HERE in India, specifically in Mumbai where hundreds of additional geo-coders will be hired by the end of 2014, Nokia officials said. Of the 1,700 people employed in India for HERE, about 1,300 of them are direct employees of the company while 400 are independent contractors, they said. The third business unit, Nokia Technologies is engaged in developing and licensing cutting-edge innovations that are powering the next revolution in computing and mobility. Through Nokia Technologies, Nokia will invest in the further development of its industry-leading innovation portfolio. This will include expanding our successful IP licensing programme, helping other companies and organisations benefit from our breakthrough innovations, and exploring new technologies for use in potential future products and services, Nokia officials said. India Has Second Highest Number of Google Glass Owners: Survey! Tech-savvy Indians have emerged as the most hooked on to gadgets globally with as many as 95 percent finding their smartphones “critically important” while 75 percent use their smartphone or tablet to book a hotel, says a survey by leading online travel firm Expedia. “The findings clearly suggest an increasing dependency on the mobile platform. 95 percent Indian respondents feel that their smartphone is very or of critical importance to their daily life,” Vikram Malhi, MD, Asia, Expedia said. He further said that Indians lead in app booking and data roaming plans globally. “In fact, 75 percent of Indians who have used their smartphone or tablet to book a hotel have booked a hotel stay using a mobile app (the highest of any country), he said. The survey highlights the maturation of Indian traveller who is fast moving up the ladder of travel apps and is no longer hooked with conventional modes of bookings, the findigs said. This survey was conducted from August 25 to September 17, this year among 8,856 employed adults aged 18 years of age and older across 25 countries. The research further said that India has the second highest number of Google Glass owners at six percent after South Korea at eight percent. Google Glass is a type of wearable technology, developed by Google with the mission of producing a mass-market ubiquitous computer. India, it further said, has the highest number of smartwatch owners globally, with 18 percent of them owning/using the device. The survey also says that 85 percent of Indians currently have and use a laptop – fourth highest in the world after Denmark (89 percent), Austria (86 percent ) and Norway (86 percent), it said. Indians rank second highest in carrying laptops with them on leisure trips (47 percent ) after UAE (48 percent), the survey says. “India ranked fifth in number of people saying they always bring their smartphone with them on leisure trips, with 88 percent of Indians who have at least one mobile device saying they always travel with their smartphone on leisure trips, and 38 percent say they always travel with a tablet,” it says. Sony Reveals PS4 Remote Play Support for Xperia Z2, Xperia Z2 Tablet! Sony’s PS4 Remote Play feature for its Xperia smartphones and tablets, introduced alongside the Xperia Z3, Xperia Z3 Compact and Xperia Z3 Tablet Compact at the company’s pre-IFA 2014 event, seems set to be released for the last generation Xperia Z2 and Xperia Z2 Tablet devices next month. The Japanese giant accidentally revealed PS4 Remote Play support for the Xperia Z2 and Xperia Z2 Tablet on its official Xperia Lounge app (via Xperia Blog). “Functionality [PS4 Remote Play] available on Sony Xperia Z3, Z3 Compact, Z3 Tablet Compact, Z2 and Z2 Tablet starting from November 2014,” stated a note in the app. The roll-out of PS4 Remote Play on the Xperia Z3 and Xperia Z2 does not come as too much of a surprise as there is not too much difference between the current and last generation. Notably however, Sony when announcing the feature last month said it’s currently not planning to bring the PS4 Remote Play to other smartphone or tablet devices, pointing to the possibility that the mention of support for the Xperia Z2 and Xperia Z2 Tablet in the Xperia Lounge app is a mistake. The PS4 Remote Play feature allows users to stream their PS4 games onto compatible Xperia devices over their home Wi-Fi network (or even a high-speed Internet connection, though Sony doesn’t recommend this). A DualShock 4 Wireless Controller, PlayStation 4 console with the latest PS4 system software update, Sony Entertainment Network access, and the PS4 Remote Play app or PlayStation app installed on the Xperia will be required to play games. Sony had at launch noted that some games do not support the PS4 Remote Play feature. 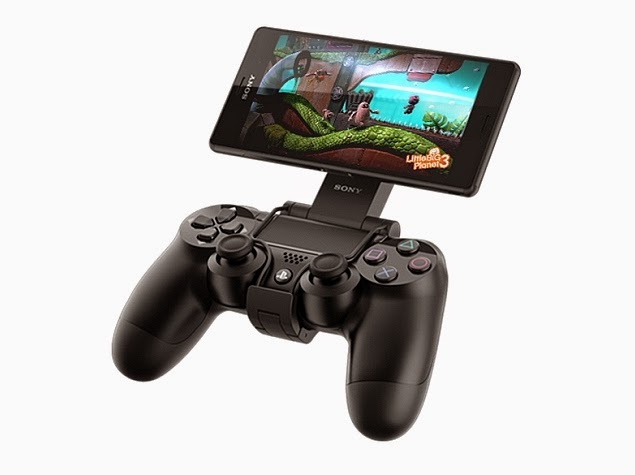 The company has also introduced the GCM10 Game Control Mount, which will essentially make it easier for users to play PS4 games on their Xperia Z3 family of devices – by holding the tablet or smartphone along with the controller while gaming. The PS4 Remote Play feature was first introduced as a way to boost PS4 games from the console to the PlayStation Vita handheld console in April, along with the PS4 v1.70 system software update, and the PS Vita v3.15 system software update – which included Automatic Device Registration for access to Remote Play and other second screen features. 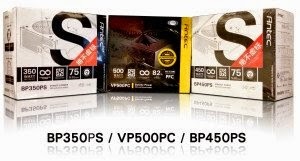 Antec Inc. the global leader in high-performance computer components power supplies, and mobile accessories today announced the addition of three new models to their popular BP and VP series of PSUs – BP350PS, BP450PS and VP500PC with the promise of delivering continuous power. Both BP and VP series are ErP Lot 6-compliant solutions, which is designed to render good quality, high performance and incredible value to the user. With no twinkly lights and glittery paint job, these PSUs are built with a quiet 120 mm fan for effective and quiet cooling. The dual + 12V rail provides amazing stable power and Antec’s Circuit Shield™ Protection gives complete peace of mind to the users. Antec’s acclaimed power supplies have set the worldwide standard for quality, reliable power at an unbeatable price point. 350W, 450W & 500W are full watts guaranteed PSUs with quiet 120 mm fans and heavy-duty protection circuitry combined together to provide continuous power. Reduces the bills by providing up to 82% efficiency and promises quality performance at incredible value. All the above PSUs are available with select channel partners and are backed by Antec Quality 2 year warranty. HP expanded its industry-leading portfolio of LaserJet multifunction printers (MFPs) designed to help businesses.The new LaserJet print line-up includes HP LaserJet Pro MFP M226 series, HP LaserJet Pro M202 Printer series and the HP LaserJet Enterprise MFP M630 series will come with enhanced manageability and security features to better manage and protect the print environment of small, medium enterprises (SMBs) and enterprises. They also allow for quick and easy mobile printing.HP LaserJet Pro MFP M226 and HP LaserJet Pro M202 Printer series are compatible with HP Web JetAdmin and allow for remote monitoring with HP Managed Print Services. With automatic two-sided printing, users can save time and reduce paper cost. Power management company Delta hosted a Seminar at Hotel Green Park, Hyderabad on Power Management Approach for Mission Critical Applications. The Seminar highlighted how energy efficiency can be improved & save cost for the industry owners. Also, showcased Delta’s industry leading offerings that help improve energy efficiency, increase uptime in critical operations and protect people, property and the environment. The Seminar was a platform initiated by Delta to reach out to customers, influencers and end-users and enable effective market interactions across major regions and key industry segments. More than 240 IT Heads/ Partners/ CEO/ Consultants from Pharma, Hospitality, Constructions, and Manufacturing industries participated in the event. Delta’s Mission Critical Infrastructure Solutions (MCIS) business unit (BU) has developed a variety of UPS solutions. Positioned as “The power behind competitiveness,” the MCIS strives to play an important role in making our customers’ businesses and operations more competitive. Our mission is realized by providing highly reliable and efficient power management products, including UPS and datacenter infrastructure solutions that ensure the continuity of mission critical operations and better total cost of ownership (TCO). &amp;lt;img class="alignright size-full wp-image-3441" src="http://ncnonline.net/wp-content/uploads/2014/08/matrix-comsec_logo.jpg" alt="matrix-comsec_logo" width="
Matrix, a leading manufacturer of enterprise grade Security and Telecom solutions is participating in IFSEC India. Matrix will showcase its complete portfolio of security products encompassing range of Access Control, Time-Attendance and Video Surveillance Solutions. Matrix will showcase its recently introduced Access Control panel and readers to enhance security in the organization. COSEC ARC is a unique IP based access control panel having multiple benefits over conventional access control panel.Being PoE based, it eliminates complex wiring and local power requirements. Its din rail and wall mount option gives flexibility to mount even where the space is a constraint. “Along with this Access Control solution, we will also showcase our enterprise grade Time-Attendance solutions with new features” said Mr. Jatin Desai, Product Manager of Access Control and Time-Attendance Solutions. Enhancing its video surveillance solutions, Matrix will launch SATATYA SAMAS, its Enterprise-grade Centralized Management Software. SATATYA SAMAS is a fully distributed solution designed for 24 X 7 video surveillance needs of multi-location, multi-server organizations. It provides features like Sequencing, Audio-Visual Alerts, SMS/ Email with Snapshots Notifications, Integration with Access Control, Basic Intelligent Video Analytics (IVA), POS etc. for easy central and remote monitoring of organizations. “With successful entry into the SME and LE segment with the recording devices and understanding their requirements in detail, the SATATYA SAMAS will provide these enterprises with more security and more productivity, providing them with more opportunity for growth” said Mr. Kaushal Kadakia, Product manager of Video Surveillance Solutions. “IFSEC India is a great platform where we will be having tremendous opportunity to meet customers, distributors and potential clients” said Mr. Dhruval Vyas, National Sales Manager. Matrix looks forward to greet customers at Hall No. 11, Stall No. 137, Pragati Maidan, New Delhi during 11 to 13 December, 2014 to discuss their requirements and to offer better solutions. Intex Technologies launches first gold finished LED television in India. Devised to deliver the ultimate home entertainment experience with elegance and style, the LED 3199 Gold offers new and improved features such as Perpetual Motion Flow Technology, Intelligent Picture and Gamma correction which provide flawless lifelike picture quality. The appealing LED 3199 Gold is inspired by the festivities of India, reminiscing the fiesta of the season to add a touch of glamour. Framed with dazzling golden finishing, the television is loaded with the Edge LED technology and smart power saving feature that enables reduction of carbon footprint. It entails all the essentials that recreate the ambience of the majestic theatre entertainment. The 80 cm model ensures faster response time and better viewing experience without straining the eyes. It also embodies auto channel search, sleep timer and Full HD Video Playability through USB 2.0. The dynamic contrast ratio makes watching television an exhilarating experience. Lenovo announced the India launch of its much awaited lineup of next-generation Yoga Tablet 2 powered by Intel processors. The range of 4 distinct tablets offer some of the best features in their respective categories coupled with the four usage modes that make Yoga Tablets stand apart in the crowded tablet market. Lenovo will be retailing these products exclusively on one of India’s largest e-commerce portals, Flipkart, starting October 17th 2014. Stemming from its legacy of consumer-focused design and innovation, Lenovo is offering 3 sizes and 2 operating systems so users can choose the model that is right for them. Besides Android models in 20.32 cm, 25.65 cm and 33.78 cm, consumers can now for the first time choose a Windows model, available in 25.65 cm. The new range comes with several new features that makes the Yoga a great entertainment device while offering unparalleled flexibility and versatility. Not only do the tablets have excellent resolution with Full HD, Dolby Wolfson HiFi audio, 8MP rear and 1.6 HD front camera, they come powered with the new Intel Atom Processor Z3745 for an excellent performance coupled with a super-long battery of up to 18 hours. The tablet range also has a new Hang mode besides the existing Stand, Hold and Tilt modes. A well placed cut-out in the kickstand not only allows for taking pictures without any hassle, it also allows one to hang the tablet permitting endless usage for the product. Further, the existing modes are made even more effective with a bigger and improved kickstand. These excellent features coupled with a best-in-class processer and incomparable battery makes the Lenovo Yoga Tablet 2 a compelling proposition. STK’s latest innovation to the Groovez series SMC650RD is the Portable and lightweight Bluetooth speaker which shall allow you to carry your Music wherever you go. With the promise of impeccable sound quality and a one-of-its-kind output, the Red Bluetooth Speaker is not to be missed by the ‘experience’ savvy. The SMC650RD Red Bluetooth is a must-have for the discerning ones who need music on the go. Its sleek, slim and stylish facade packs within an unusual richness of features. The portable speaker seamlessly pairs up with mobile or any Bluetooth compatible device. Its powerful 3W speaker provides distinguishably loud and clear music and has a music playback time of up to 3 hours. Add to that, there is a built-in microphone that also allows the user to make and receive calls via a Bluetooth enabled mobile phone at the press of one button. Usable within as far as 10 meters of range, it comes with a 3.5 mm audio cable and a Micro USB Charging Cable. The Red Bluetooth speaker has something for every kind of music and media lover. For the radio fanatics, it also encompasses an FM radio and the option to play music straight from a Micro SD card. Compatible with a wide range of handsets and Bluetooth enabled devices; it is the perfect, pocket-sized way to wirelessly play music, movies, games and more. This digital wonder helps everyone make the most out of every moment with the speaker that goes wherever you go. 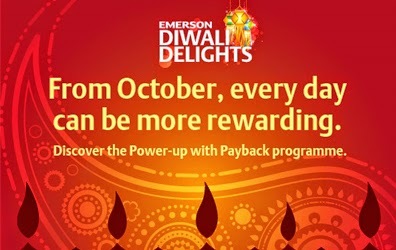 Emerson Network Power has announced the launch of the ‘Diwali Delights’ scheme for its channel partners in India. Emerson has unveiled this monthly scheme to boost demand and reward its partners on the sale of its uninterruptible power supply UPS systems (up to 20kVA) and its datacenter infrastructure management (DCIM) and rack data unit (RDU) products. Diwali Delights will be run in partnership with Payback and partners will be able to redeem their points from over 50 PAYBACK partner brands. Network Solution Partners (NSPs) and Value Added Resellers (VARs) will gain PAYBACK points with the sale of the solutions listed under the program and they can exchange the points in return for attractive rewards. The ‘Diwali Delights’ program is valid for a period of one month starting October 1, 2014 to October 31, 2014. The scheme will be valid for purchases made from Emerson’s national distributors, Ingram Micro, and neoteric infomatique ltd. Partners can view their points by logging on to www.PAYBACK.in with the PAYBACK number provided to them by Emerson after registering themselves at www.EmersonNetworkPower.co.in/Channels with a login id and password. Dell India announced the launch of their ‘Dell Campassadors’ program and a strategic partnership with INKtalks, an organization which aims to inspire youth, particularly in emerging economies. The association was born out of Dell’s dedicated focus towards the college student community, who not only exhibits a dynamic use of personal technology, but is also advocates for the adoption of new technologies. With this partnership, Dell aims to engage college students through campus ambassadors in a year-long conversation with Dell & INKtalks to foster a strong sense of social orientation and bring student communities together to share knowledge and ideas with peers and work on collaborative projects, all to prepare them for real life challenges. Dell has been very vocal among the student community and has successfully sustained annual programs such as ‘Back to College,’ an initiative to creatively empower college-going students both inside and outside the classroom by enabling students to seamlessly merge their offline and online lives. The tie up with INKtalks is an extension of Dell’s Back to College initiative and reflects Dell’s continued focus and engagement with the youth. Dell has consistently engaged with the youth in the past, with initiatives like ‘Achieve with Dell’ and ‘I Can Do Kuch Bhi’ which inspired the youth to unlock possibilities and achieve their ambitions, using personal technology as an enabler. Dell Campassadors offers a platform for the creative, intelligent and energetic youth to work towards further developing their skills while giving them an opportunity to prepare as leaders. As a Dell Campassadors, they will be representatives of the brand Dell on their campus. They will also have the opportunity to organise and participate in various fun activities and events and will get a chance to earn incentives and rewards based on their performance, as well as participate in various engagements with Dell and INKtalks throughout the year. The program also offers the Campassadors a unique learning and growth opportunity through the Dell and INKtalks teams who will guide and mentor and provide first hand industry information to the selected Dell Campassadors. The Campassadors will periodically be evaluated at multiple levels based on their involvement, contributions & engagement with peers, before they face a final evaluation at the end of the year. Apart from the final evaluation, each region will recognise a Flamethrower Award winner every quarter. Two award winners also stand to win an internship at Dell at the end of the year. McAfee, part of Intel Security, announced the latest release of McAfee Next Generation Firewall, which now seamlessly integrates with several key McAfee solutions and technologies, offering businesses and government agencies an ever-expanding ecosystem of threat defenses. Important new integrations with the McAfee Security Connected framework provide McAfee Next Generation Firewall customers with layered protection against the latest threats and evasions, along with improved workflows and operational efficiencies. The meet witnessed focus on Genius’s existing range of products, its unique selling proposition as a brand and upcoming product roadmap. An array of Genius products were on display including Gaming Products (GX Series), DVR (Vehicle Recorder), Audio Products (Speakers & Headsets), IT Peripherals (Keyboard & Mice), Mobility Products (Earphones & Power Banks) and its Innovative Products (Energy Mouse – Mouse with Power Bank & Micro Traveler 9000R -Wireless Rechargeable Mouse. An open walk –in session was conducted to get a first hand feel of the products. A question and answer session was organized post the address and each correct answer received an attractive Genius gift. The event concluded on a high note with recognition awards being conferred on three Genius Value Partners, who received Genius speakers- the exciting i600 (Docking speakers for Apple iPad).